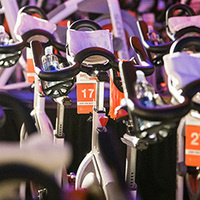 Pediatric residents at the Department of Pediatrics at Weill Cornell Medicine / NewYork-Presbyterian Komansky Children's Hospital are riding and raising money for Cycle for Survival, the movement to beat rare cancers. Will you help us surpass our fundraising goal? Every dollar you give will advance innovative studies and clinical trials led by our affiliate, Memorial Sloan Kettering Cancer Center (MSK). Discoveries made by MSK revolutionize how cancer is diagnosed and treated, helping patients across the country and around the world. Not only does every dollar go to research, your gift will be in the hands of doctors and researchers within six months of the events. As a donor, you will learn about the projects supported and the breakthroughs made.